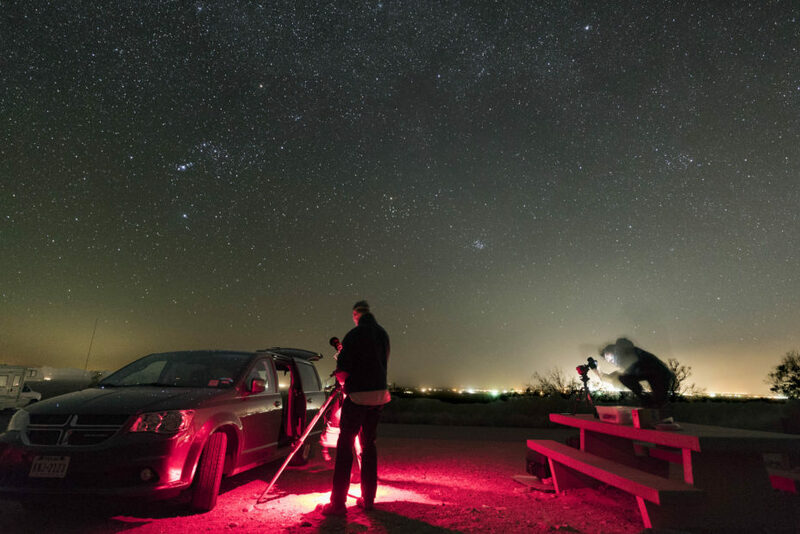 Fellow Amateur Astronomers Association of New York members accompanied Rush and I on a trip to White Sands National Monument in southern New Mexico and Big Bend National Park in west Texas in March. We were eight in all including Ken from the Astronomical Society of Long Island, Preston, Linda, Chirag, Antoine and Gowri. 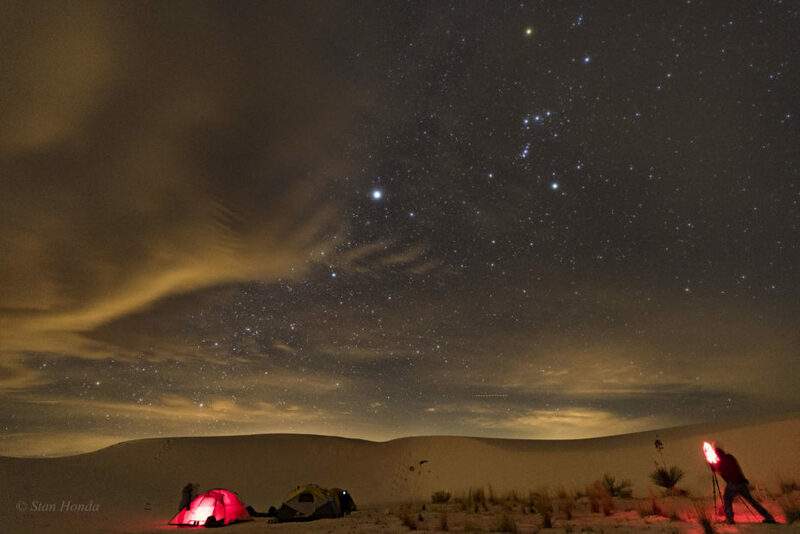 A night backcountry camping in White Sands was an incredible experience, after two nights at a camp outside of Alamagordo. 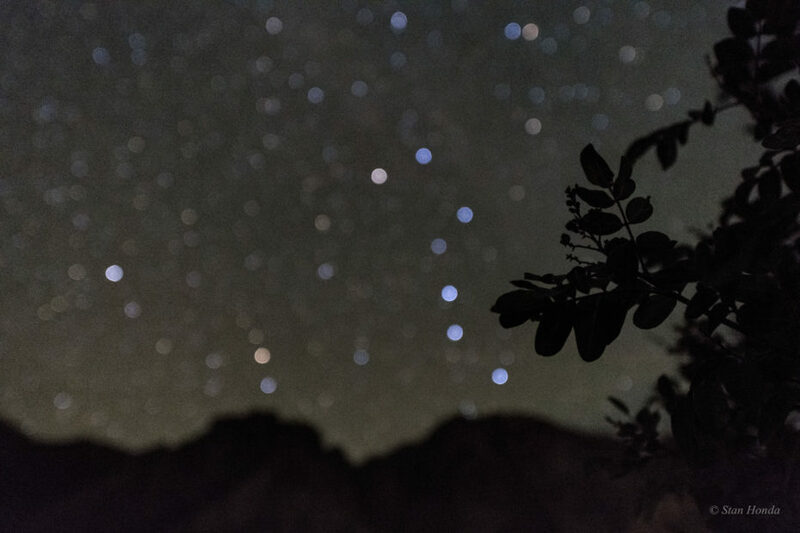 Five nights were spent in the Chisos Basin campground in Big Bend, under a very dark sky. Late night sessions followed by pre-dawn sessions led to little sleep but good pictures. 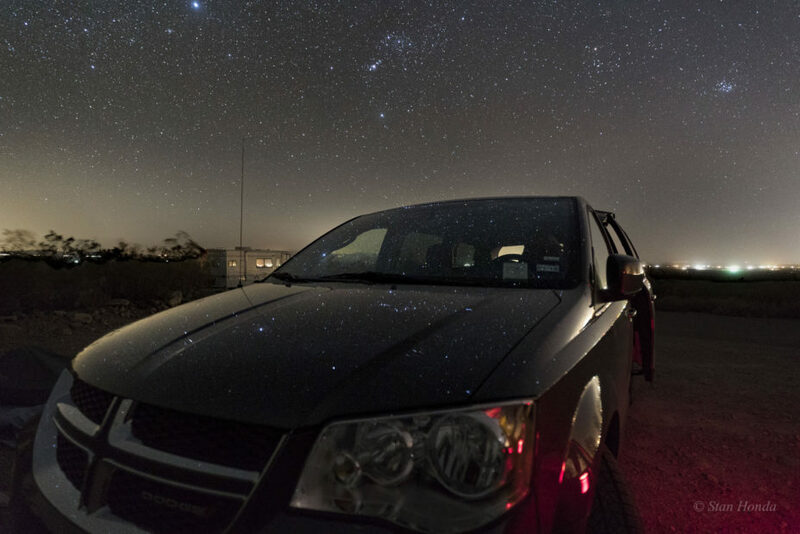 At the Alamogordo campsite, Preston’s van is filled with stars. 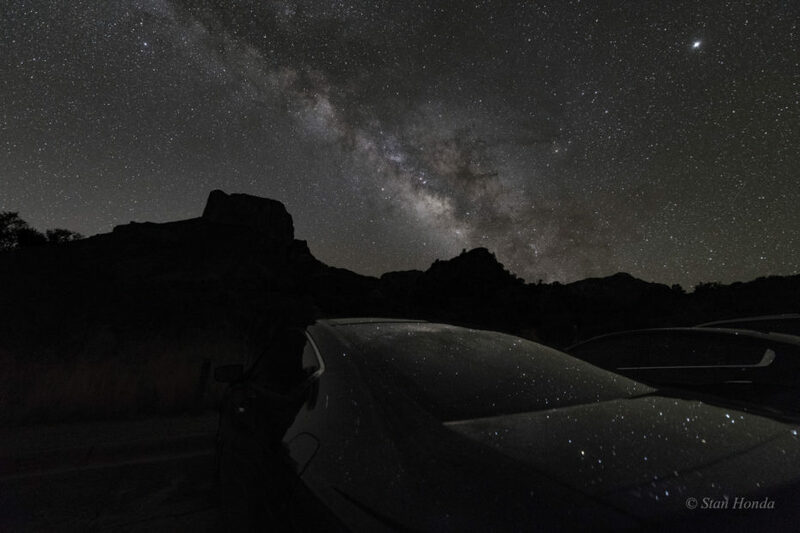 Preston and Chirag photograph the southwest sky from our campsite near Alamagordo. 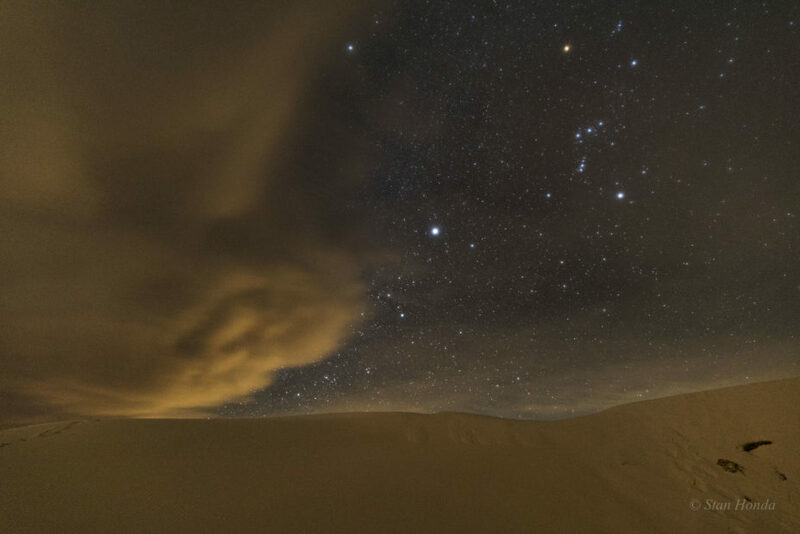 White Sands: A cloud illuminated by nearby Alamagordo looks like a sand storm approaching the star Sirius and constellation Orion. White Sands: Wispy clouds above the campsite. 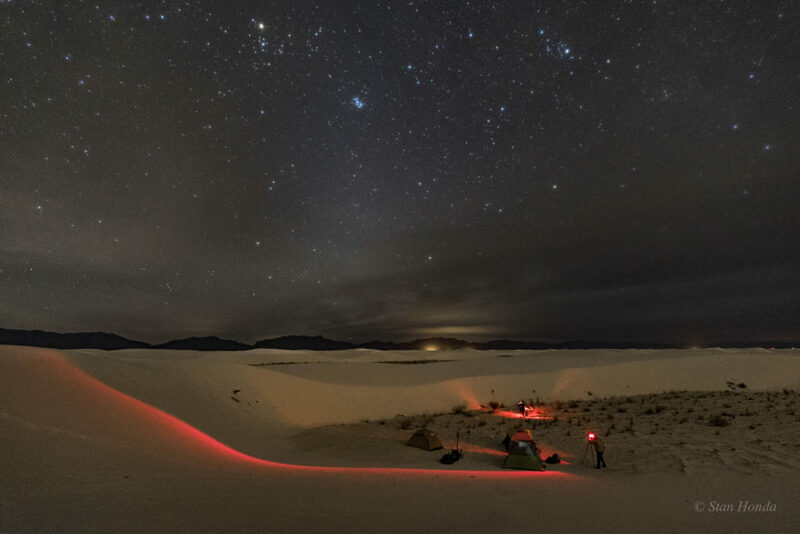 White Sands: Our group at work as the sky clears. 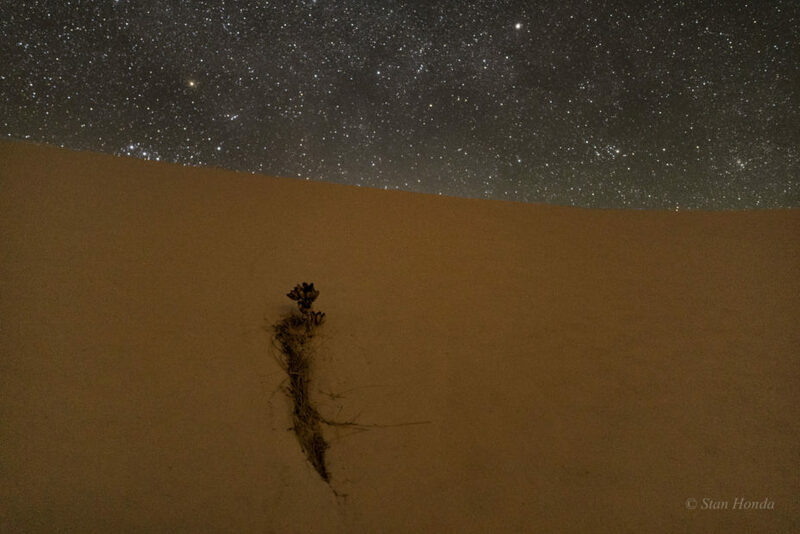 White Sands: A small plant takes root in the dune. 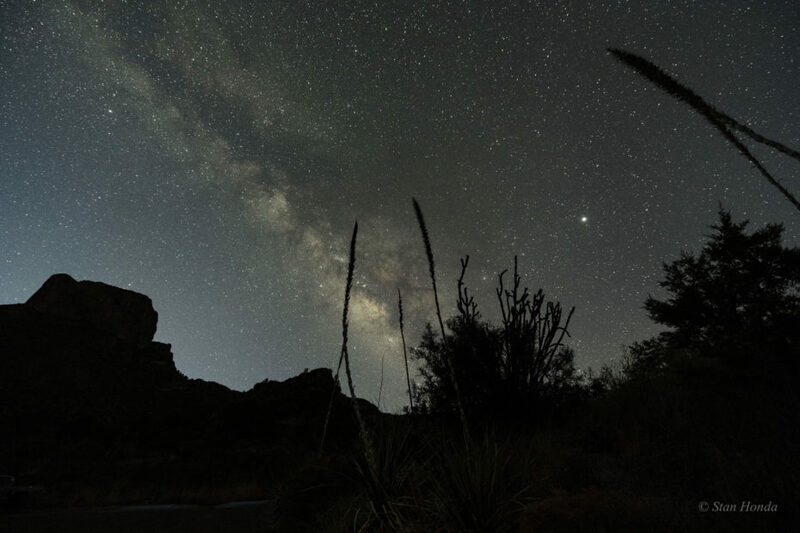 Big Bend: First twilight at the campsite, a crescent moon, Venus and Mercury set above the Widow. This was the Astronomy Picture of the Day for March 31, 2018. 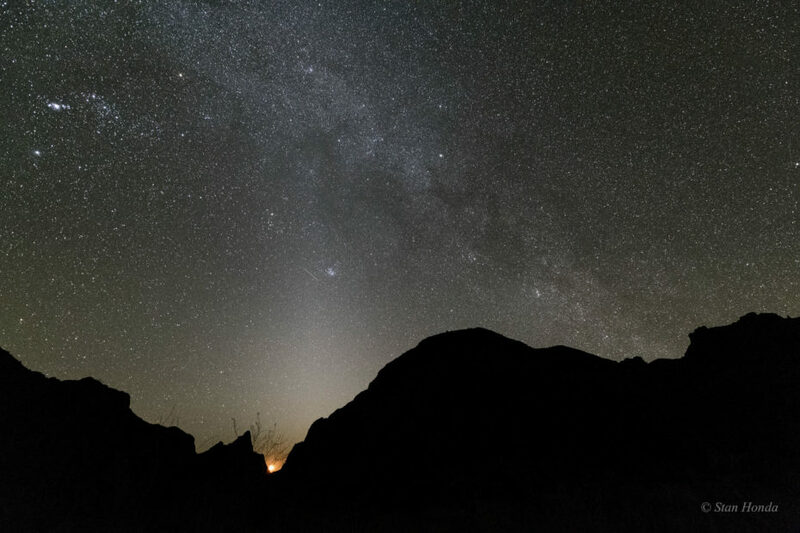 Big Bend: A crescent moon sets, Zodiacal light reaches up from the horizon. The Milky Way arches across. 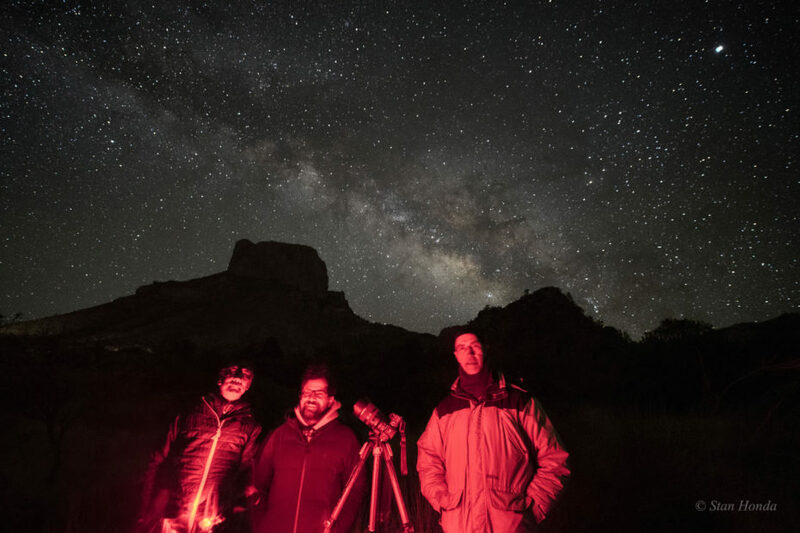 Big Bend: Myself, Chirag and Preston pose in the pre-dawn hours as the Milky Way rises over Casa Grande. 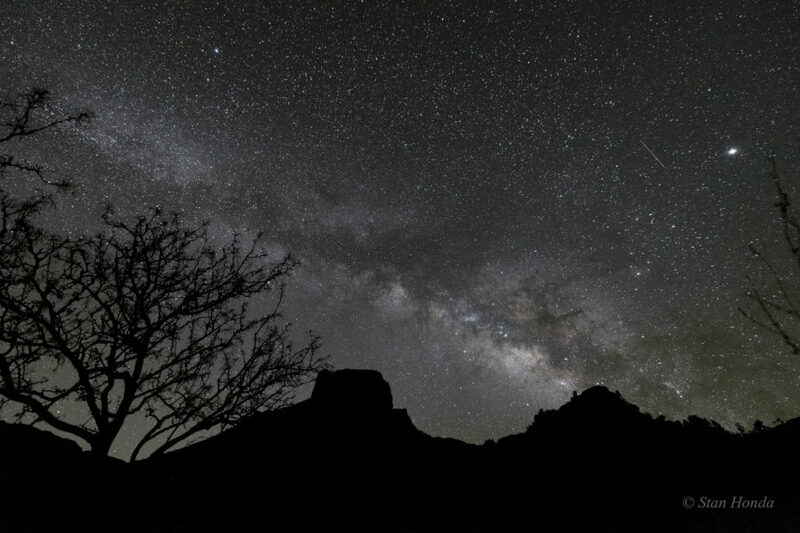 Big Bend: An early morning Milky Way over Casa Grande. 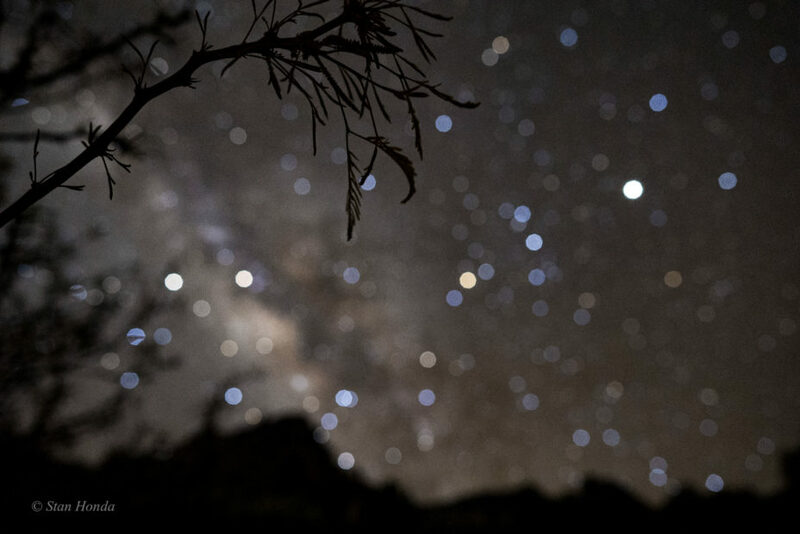 Big Bend: It’s full of stars! Big Bend: Morning twilight approaches. 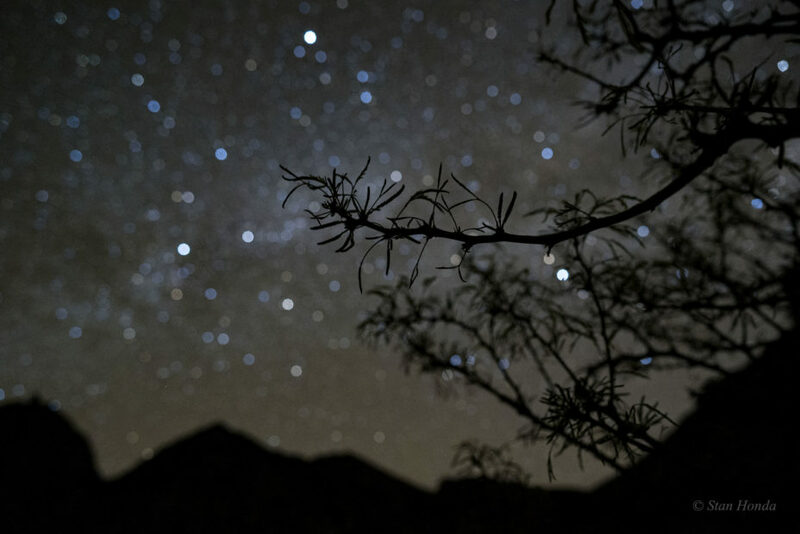 Big Bend: Mexican drooping Juniper and the Milky Way, Sagittarius and Scorpius. 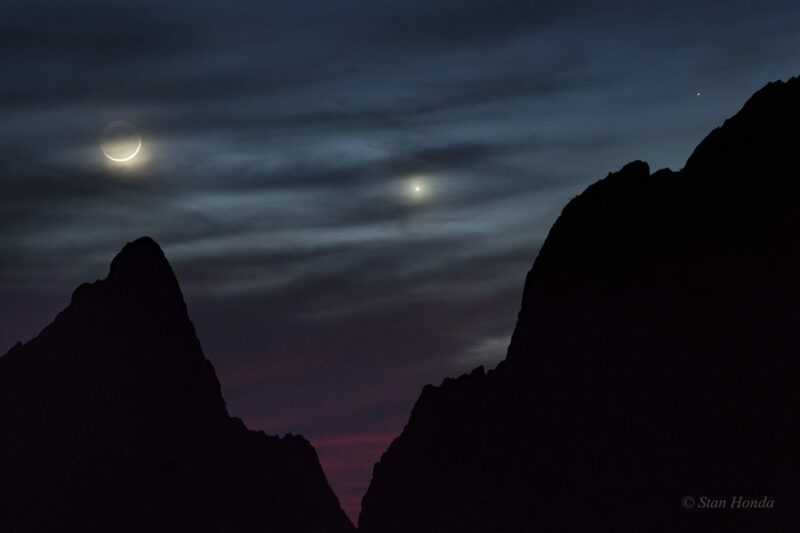 The three brightest orbs are Saturn, Mars and Jupiter. 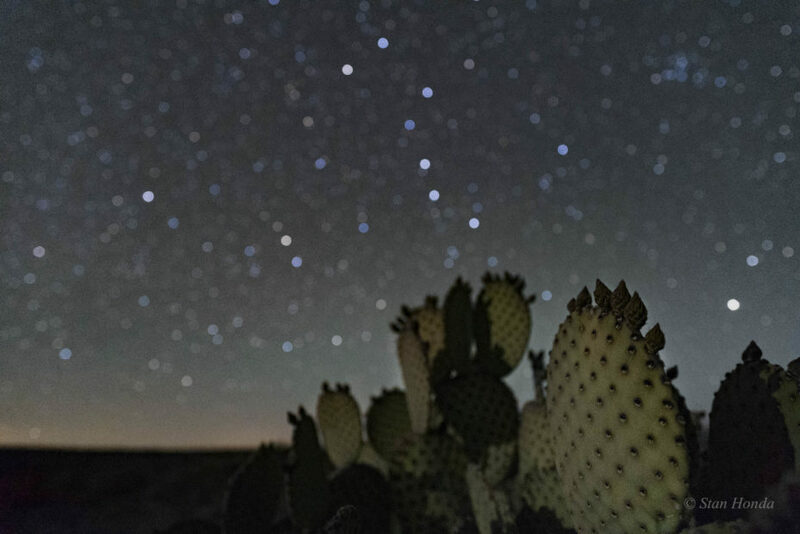 Big Bend: Mexican drooping Juniper and the Summer Triangle of stars. Big Bend: Big and Little Dippers. Big Bend: Cactus and the Big and Little Dippers. 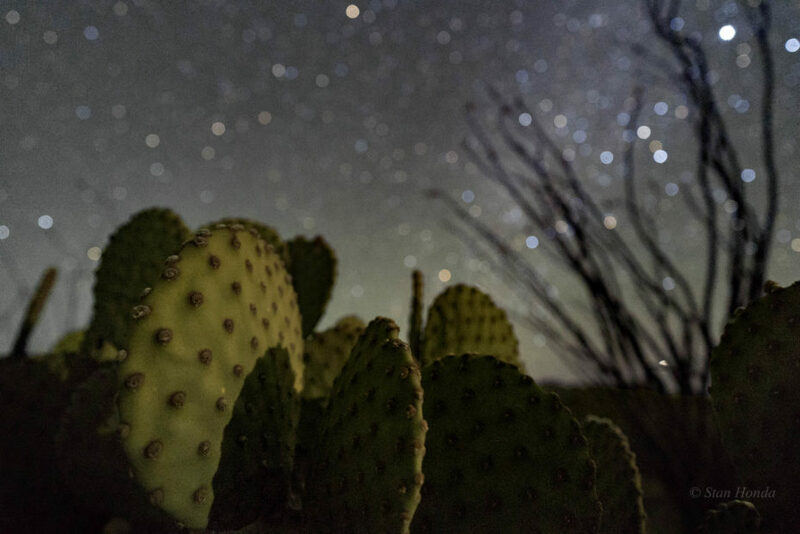 Big Bend: Cactus and the southern sky. 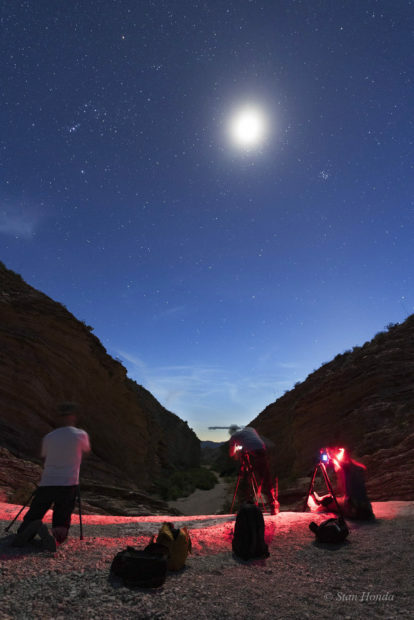 Big Bend: Preston, Chirag and Antoine photograph the twilight and moon from Ernst Tinaja. 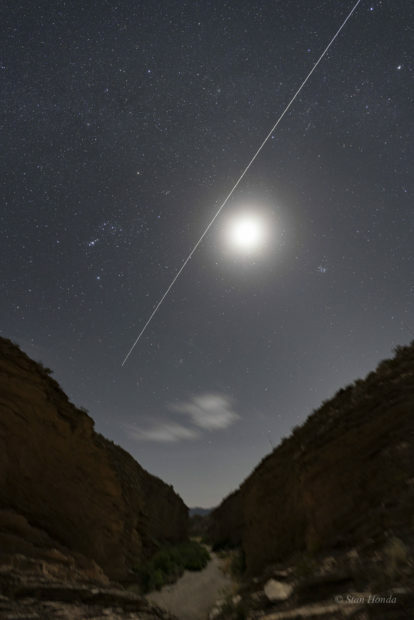 Big Bend: The International Space Station streaks past Orion and the moon in this two minute exposure. 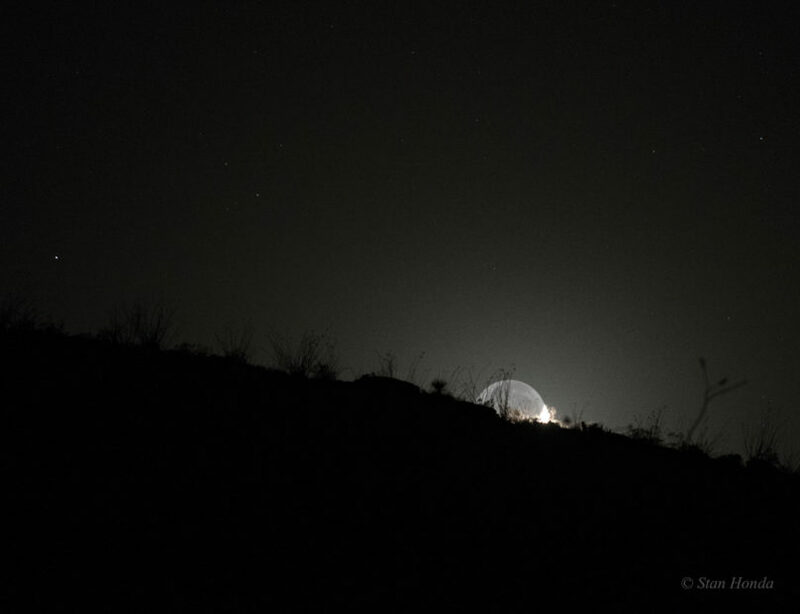 Big Bend: An “Earthshine” moonset over a ridge. The lit crescent has almost dipped below the mountain.